In no way is this a comprehensive list of all the incredible experiences to be had in Lowell, MA, but it’s a start. Let’s go! Open year round with a variety of attractions and exhibits, Lowell’s National Historic Park encompasses the entire area of downtown Lowell. This includes the famous Lowell canals and many of the historic mills. From Memorial Day through late November, one of the main attractions is canal boat tours that invite you to explore the ingenious engineering marvels of the canals. The Mill Girl Exhibit will give you an inside look into the lives of Lowell’s Mill Girls. Home to the Lowell Spinners, Lowell’s Red Sox affiliate, minor league baseball team, LeLacheur Park is always worth a visit. Opening weekend in June is the perfect time to explore the park and to enjoy some great baseball. The Boott Cotton Mills Museum at the Boott Mills is an experience in itself when visiting Lowell. Built alongside the canal system and Merrimack River by Kirk Boott in 1935, the mill was an integral part to the industrial revolution in Lowell. Get a private tour and learn about the important role Lowell played in a variety of events in American History. Lowell’s Western Avenue Studios is home to the largest artist community on the eastern seaboard. The five-acre complex and its varied brick mill buildings host over 300 artists in 250 work only studios and 50 live/work lofts. Western Avenue Studios also houses The Loading Dock Gallery - a cooperative, artist run gallery, as well as Navigation Brewery’s tap room and The Onyx Room Performance Space. Mill No. 5 is an indoor streetscape of historic buildings and storefronts salvaged from throughout New England and beyond. Mill No. 5 is home to a variety of boutique shops, Coffee and Cotton (a farm-to table cafe), The Luna Theater (an independent movie theater) and Red & White Market (a farm fresh convenience store). Every Sunday the Hi-Hat features live local music as part of The Farm Market, the area’s only year round indoor farmer’s market. Photo Credit Cambodia Town Inc.
With an incredible variety of restaurants, eateries and unique shops to serve the second largest Cambodian population in the US, it’s no wonder that Cambodia Town is a must-do experience when visiting Lowell. Immerse yourself in a Cultural experience that you won’t find anywhere else. If you visit in August, make plans to include the Southeast Asian Water Festival. This incredible annual event attracts over 50,000 people every year! Photo Credit Whistler House Inc. The Whistler House Museum of Art is the birthplace of painter and etcher James McNeill Whistler. Built in 1823 by the Locks and Canals Company of Lowell for the inventor of the Lowell Canals, Paul Moody, the house honors the works of James Whistler and the museum is now displaying works from its collection and shows by member artists. Yes, the Cemetery. The popularity of Lowell Cemetery began in the 1840s as a refuge from the confines of the industrialized city center. The crowded boardinghouses and noise of the mills were left behind for an oasis of peace. As in the 19th century, Lowell Cemetery remains the landscape park of the 1840s with its tree canopy, ornamental shrubs and many Victorian gardens. Nature’s beauty combines with the human artistry of elegant and interesting gravestones and monuments. Every summer you can explore the Cemetery with guided or self-guided tours. Named the “Canalway Cultural District of Lowell,” the downtown district’s geographic area is bounded by Arcand Drive, Middlesex Street, Howe Street, the Merrimack River and Worthen Street and interwoven with Lowell's unique canal system. The District includes major downtown cultural institutions like the Lowell National Historical Park, the Whistler House Museum of Art, the Brush Art Gallery and Studios, Merrimack Repertory Theatre, the ALL Arts Gallery, Angkor Dance Troupe, Boarding House Park, UnchARTed and the newly opened Z Gallery. Within the District are many cafés and restaurants which showcase the cuisine of many different countries. Not only is the Tsongas Center home to the UMass Lowell Riverhawks athletic teams, it is also one of the premier event and convention venues in Lowell. With a capacity of over 6,000, the center is the perfect destination for everything from sports and Gala events to concerts. A major attraction to Lowell is the 5.6 miles of canalways that weave through the city as a perfectly engineered marvel of industrial design. Bike, hike, walk or play along the canals and enjoy a great exhibition of public art and beautiful public parks. The Lowell canals are the perfect place to relax, read a book or attend a local event. 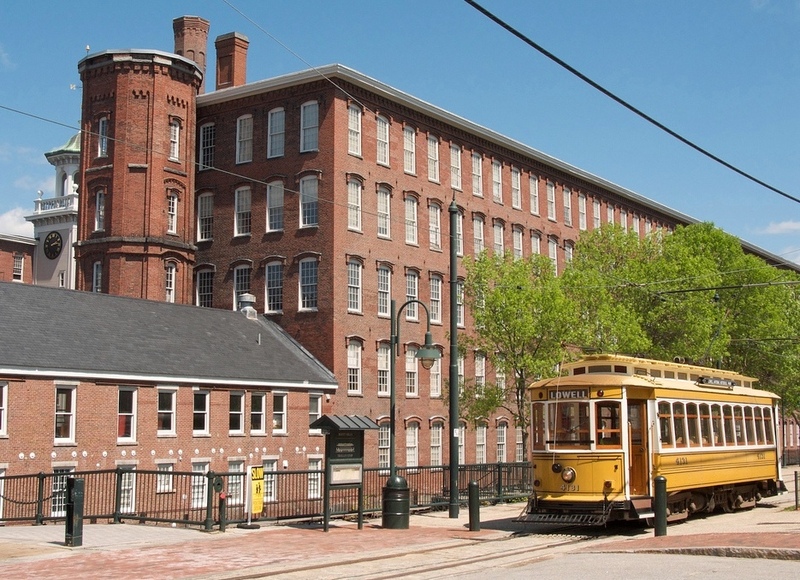 Just across from the Lowell National Historical Park's Visitor Center, at the Mack Building, the National Streetcar Museum invites you to browse exhibits about the influence of street railways on the development of cities. While you’re here, extend your streetcar experience and hop aboard our streetcar from New Orleans and explore the city of Lowell by trolley. Production photo - please credit Julia Brothers, Gail Rastorfer, and Jessica Wortham, photo by Meghan Moore. Known for its productions of vibrant, contemporary plays and world premieres, the Merrimack Repertory Theatre has been Merrimack Valley’s professional theatre company since 1979, and is an integral part of Lowell’s identity as the cultural heart of the region. MRT produces works that explore what it means to be alive today, with a seven-show season that runs from September through May. Its intimate 279-seat theatre is easy to get to, with free parking. 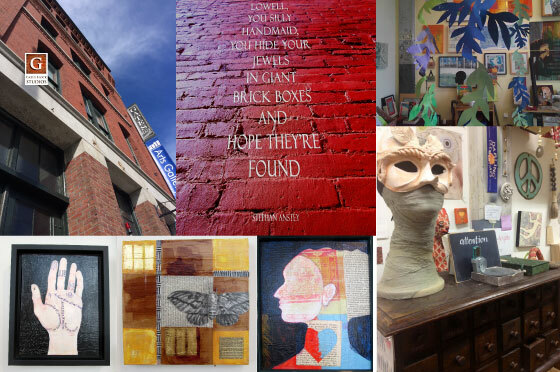 For over 30 years, the Brush's mission has remained the same: to nurture the working artist and to keep the visual arts alive and healthy in the heart of Lowell's historic district. Located in a restored mill building, the gallery is also home to artist studios that are open daily. The gallery aims to focus attention on important issues and to demonstrate through exhibitions and cultural programming the diverse and rich heritage that exists in the Lowell area. The Arts League of Lowell (ALL) and Gates Block Studios have become the catalysts for the creation of a new art community in the city. Located downtown in the Cultural District and housed in the historic Gates Block Building, this thriving arts center has a little bit of everything - 34 unique studios on 3 floors and an eclectic gallery on street level. 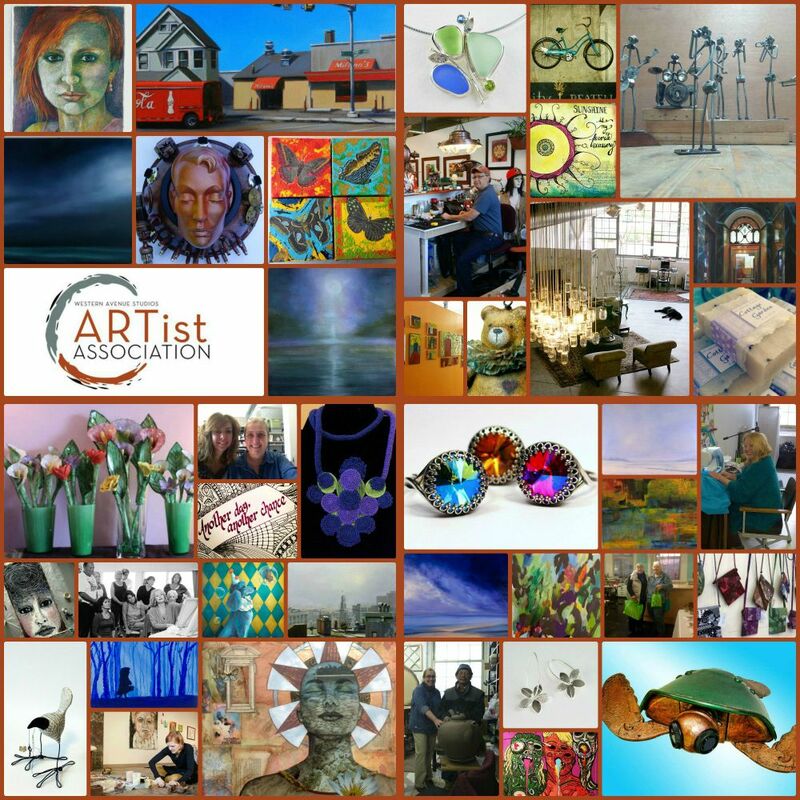 This is a place where artists of all expressions come together to encourage mutual support, facilitate the sharing of knowledge and provide a unified voice for the arts. Lowell’s Public Art Collection began to take shape in the 1980s with unique pieces created by artists with national and international reputations. Primarily located near Lowell’s canals in downtown Lowell, each artwork provides a unique commentary on one of the Lowell National Historical Park’s themes—labor, technology, water-power, capital, the industrial city. The collection’s commissioning value is about $1 million. Regular, guided walking tours of Lowell’s public art collection are held in the summer. A self-guided tour to all of Lowell’s Craft Breweries is always an exciting and tasteful delight. We suggest you start at Navigation Brewing Company’s Tap Room and take advantage to explore the arts at Western Avenue Studios while you’re there. Then head over to Merrimack Ales to try their famous Coffee Porter before ending you visit with a nice dinner and brew at the Lowell Beer Works. Cheers! The UMass Lowell Kayak Center, located at the Bellegarde Boathouse on the banks of the Merrimack River, offers kayak rentals and programs for the public during the months of June, July and August. Whether for exercise, fishing, birdwatching or just quiet paddling along the shoreline, rent a single or double kaya and discover why kayaking is a great way to explore the river that made Lowell famous from just above the Pawtucket Falls all the way to Nashua, NH. The same rapids and waterfalls that brought the textile industry to Lowell now power one of the most thrilling and interesting raft trips in the United States. You'll raft on class III and IV whitewater through the green heart of Lowell. Your trip concludes with passage through an 1850s lock chamber, which is a National Historic Landmark and a featured attraction at the Lowell National and State Parks. Since 1989, the Patrick J. Mogan Cultural Center, located at 40 French Street, has been telling "the human story of Lowell" through a variety of community exhibits, projects and programs. The center was originally a corporation boarding house block for “mill girls”, young women who worked in the nearby textile factories.